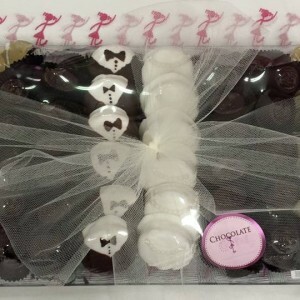 Categories: The Chocolate Girl, Chocolate, Chocolate Covered Fruit, Cookies, Truffles, Nuts & Fruits, Chocolate Dipped Fruit, By Color, Black, White, By Occasion, Anniversary, Bridal Shower, Wedding/Engagement, By Brand. 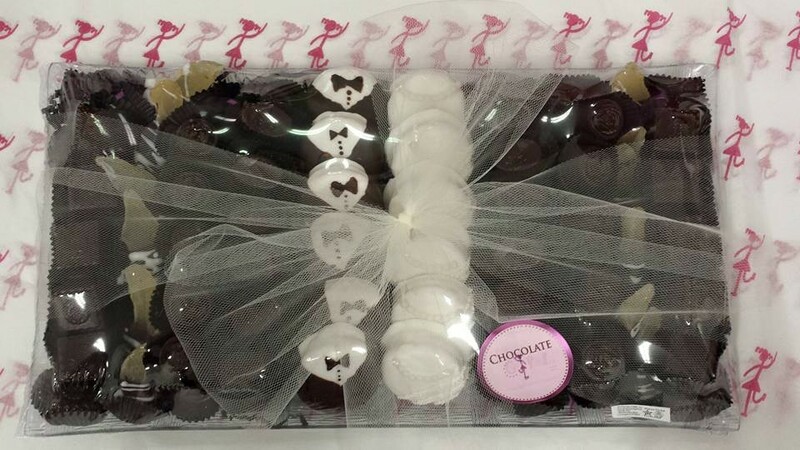 Tags: bride and groom, chocolate tray for bride and groom, katz, Rabbi Katz, star. Bride and Groom Assorted Chocolate Tray.